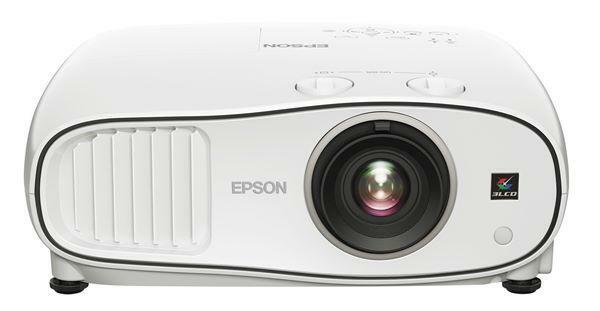 The Epson PowerLite Home Cinema 5010 is Epson's brand new 3D 1080p projector for home theater. 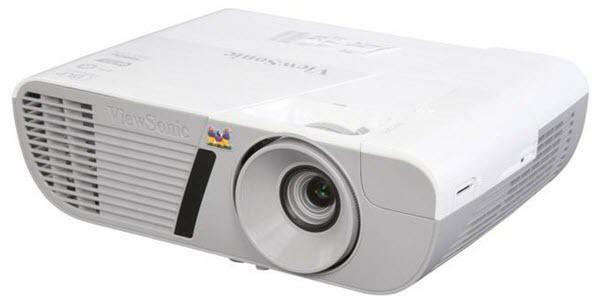 Like the Home Cinema 8700 UB, the 5010 has impressive contrast and very high maximum lumen output. This allows the projector to fill large screens in dark rooms or effectively combat ambient light in living rooms and other shared spaces. Where the Home Cinema 3010 was a bit of a departure for Epson, the 5010 is a return to form. The projector's 2.1:1 zoom lens and extensive H/V lens shift give it some of the best placement flexibility in its price class, while Frame Interpolation and Super Resolution both add subtle enhancements to an already great image. With street prices hovering around $2700, the Home Cinema 5010 is a strong contender in this year's home theater line-up. Even fresh out of the box, the 5010 demands attention. The projector sports a two-tone case, with white top and bottom panels and a black front grill and lens. The slick, streamlined case has some nice touches, such as a control panel that hides away behind a spring-loaded sliding panel cover and a center-mounted lens configuration that will make ceiling mounts easier. Outwardly, the Home Cinema 5010 resembles a larger Home Cinema 3010, though the similarities are only skin deep. Set up side by side, the differences in performance and image quality are striking: the 5010 has vastly deeper black levels, higher dynamic range, better color saturation, quieter operation, a quieter auto iris, and an overall sharper image. Then again, the 3010 is designed for home entertainment while the 5010 is built for home theater, so the 5010's better performance is not entirely unexpected. We set the 5010 up in a darkened room on a rear shelf to take full advantage of the projector's 2.1:1 zoom lens and H/V lens shift. The projector is a breeze to set up, and the lens shift wheels even have click stops indicating the halfway point in their ranges. All lens controls are manual. The 5010 takes longer to start up than previous Epson projectors by a few seconds, though previous Epson projectors lack the 5010's powered retracting lens cap. When the projector is not in use, it slides in front of the lens, protecting it from dust and damage automatically. As far as placement goes, the Home Cinema 5010 can produce a 120" diagonal 16:9 image anywhere between 11' 8" and 25'. Lens shift is extensive as well. 2.9 picture heights of total vertical range allow you to place the image entirely above or below the centerline of the lens with room to spare for ceiling or table mounting, while 1.9 image widths of horizontal range allows for nearly 50% shift in either direction. This is more or less the best shift range available on a projector in this price class, and it allows for a wide variety of installations. With all the lights out, Cinema mode's 827 lumens make it a perfect fit for a 130" diagonal 1.0 gain screen, or a 140" diagonal screen at 1.3 gain. Users of smaller screens can avail themselves of Eco lamp mode or the projector's generous zoom lens in order to lower light output from this point. If ambient light is a concern, several of the projector's other image modes -- namely Dynamic and Living Room -- offer light output more than double that of Cinema mode, though color and contrast are compromised as a result.